I ordered a big shopping list of parts totalling £30 just 2 nights ago. The b*turds. 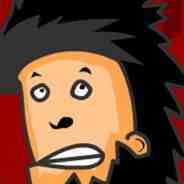 Also Quidco or TopCashBack for 4% cash back. Sweet, good to hear !! I pretty much use TCB for all my cash back rather than Quidco. Anyhow, TCB stated on their site that the 4% cashback was in conjunction with the eBay Payback voucher. They often increase their cashback specifically during these eBay voucher promotions and I’ve never had a problem with them paying out for it. 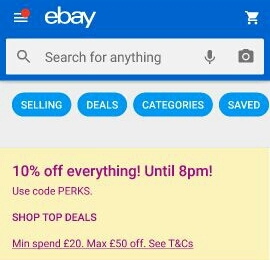 The eBay 10% off promotion is running again until 8pm UK time. Again, TopCashBack have increased their cashback for eBay to 4% until the end of today. Also, the TCB rep confirmed that their £2.50 extra cashback (on purchases over £20) can be used in conjunction with eBay’s Pumpkins code. Edit to add: The £2.50 promotion has to be activated first (5th rotating banner on TCB home page or use link from HUKD). So with eBay 10% off, 4% cashback plus additional £2.50 cashback..not a bad offer!